Villa Lounge Chair by Pietro Costantini is a Made in Italy armchair with an elegant and refined design. 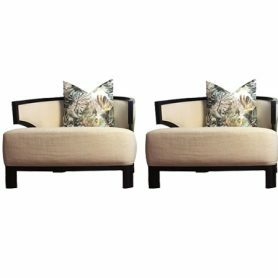 Designed by designer Giorgio Soressi, it is ideal for decorating your living room or any other rooms in your home with class and elegance. Pietro Costantini is an Italian company, the result of skilful balance, experience and craftsmanship, attention to detail, passion and propensity for excellence.